Until it was discovered by Christopher Colombus in 1492, Cuba was the home to the Guanahatabey, Ciboney and Taino, who got rapidly decimated by diseases brought by the Spaniards, or by the Spaniards themselves. Unfortunately, the result of this decimation means that the Cuban culture, as we know it, doesn't bear any trace of heritage from those Aboriginal groups. For the first three centuries following the Spaniards' colonisation, the island remained neglected, being mostly used as a stopping point for the fleet between the New World and Spain. It isn't until the nineteenth century that Cuba awakened with a sugar revolution that would propel the island to be one of the World's major sugar producer, the consequence of circumstances including the collapse of Haiti's status as a sugar-producing colony and the growth of the United States as an independent nation. From poverty to prosperity, Cuba's economic revolution strengthened its people's loyalty for the Spaniards, which had the consequence to delay Cuba's independence at a time where the rest of Latin America was breaking away with Spain. However, the end of the nineteenth century saw that loyalty change with Cuban nationalism growing as a result of the Spanish taxation and despotism, as well as the opposition between Creole and Spaniards for the governing of the island. The Ten Year's War against Spain ensued (1868-1878), shedding a lot of blood on the island and ending in the same bitterness it had started. The killing of Cuban Independence leader Jose Marti triggered the second independence war (1895-1898), at the end of which the United States decided to intervene, with the purpose of protecting their own economic interest on the island as well as their potential strategic interest targeting the future Panama Canal. The Treaty of Paris was signed the same year, defeating Spain and assigning the tutelage over Cuban affairs to the United States. After almost five years of military occupation by the United States, Cuba begun its independence journey with promising signs of prosperity and social cohesion, performing better than most Latin American nations. However, growing violence, political disorder and corruption encouraged the US to invoke the 1901 Platt Amendment, and proceeded to their military intervention by reinstating their naval base in Cuba (1906-1909, 1917, 1921) alongside with an economical involvement and control that had the consequence to delay Cuba's growth as a nation. The dictatorship of Gerardo Machado y Morales (president 1925-1933), the economic strains of the world depression and the increasing control of Cuba's economy by the US and Spain caused a major revolution attempt in the 1930s. The rising of a students and intellectuals led group demanding radical reforms and transformations, and the revolts of the army forced Machado to resign and flee on 12th August 1933. On 4th September, the student militants were joined by Sergeant Fulgencio Batista y Zaldivar, and together put an end to Carlos Manuel de Cespedes' regime that was backed by the US. Later, Batista's group also terminated the short provisional presidency of Ramon Grau San Martin (president 1933-1934) by forcing him to resign. The Sergeants' Revolt resulted in the military becoming a part of the government, which marked a turning point in the island's history. Despite the reformers reaching power five months later, and Machado's overthrow being the symbolic start of a new era, the revolution turned out to be a complete failure: Batista and the military imposed themselves as the authorities of Cuba's politics, first through de facto ruling, and then officialised by Batista's presidential election in 1940. In 1944, an era of democratic government focused on human rights and prosperity followed the first Batista era, with Grau San Martin back at the head of the country (between 1944-1948), and then followed by Carlos Prio Socarras (between 1948-1952). However, the new government divided the population between those who believed the revolution was not over, and those who believed the new regime represented a new hope. A division that saw violence and corruption rising once again, as well as conspiracies by some to take over the power. On 10th March 1952, Batista's coup d'état saw the rising of a brutal right-wing dictatorship and the decrease of confidence in the Cubans to govern themselves. 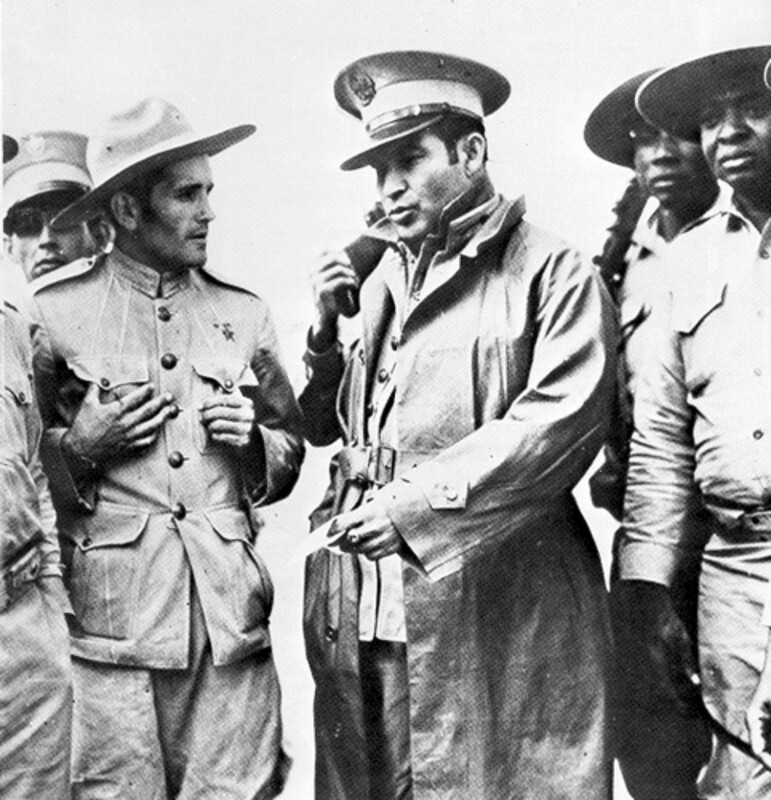 Years of instability resulted in a civil war resulting in the overthrow of Batista, as well as the destruction of the military and most other Cuban institutions. Following his successful revolt against the Batista government, Fidel Castro Ruz, an anti-US revolutionary, took the power on 1st January 1959. Castro began to seize all US investment and properties and, on 16th April 1961, officially began the transformation of Cuba as a one-party communist system. Castro's regime resulted in relations between Cuba and the US to deteriorate rapidly: on 19th October 1960, the US imposed an embargo on Cuba and broke diplomatic relations on 3 January 1961, in retaliation to Castro's many provocations, which included the arrest of US citizens. The failed Bay of Pigs Invasion led by the CIA on 17th April 1961 strengthened Castro's position as a leader and grew closer ties with the Soviet Union against the US, which eventually led to the Cuban Missile Crisis of October 1962, a 13 day confrontation between the US and the Soviet Union, resulting in an agreement assuring Cuba's protection from US invasion or attack. The relationship between Cuba and the Soviet Union gave Castro a more exposed, international voice that enabled him to act as a defender of the anti-US movements and terrorists groups rising in Latin America and other developing countries, whilst his unlimited supply of weapons by the Soviet Union and military interventions propelled him to the status of powerful international contender and leader. However, the collapse of communism in the early 1990s had profound consequences on Cuba, with the end of the Soviet economic aids to the country on 1st January 1991, which marked the start of a major economic crisis for Cuba. Although some small adjustments were made, the regime was still following a Marxist and dictatorial system that prevented the country from recovering from its sharp economic decline. As the crisis grew, so did the tensions between Cuba and the US, with human rights violations and illegal emigration issues, such asthe 1994 balsero crisis, which resulted in an agreement between Cuba and the US to control illegal emigration, and had the effect of making of Cuban smuggling into the US a major business. In 1996, the US reaffirmed its position with the passing of the Congress of the Helms-Burton law, one that introduced stricter rules and economic sanctions for US dealings with Cuba. Part of this law also involved the sanction of third-party countries, organisations or individuals actively trading with Cuba, a highly controversial aspect of the law that saw the international condemnation of the US policy towards Cuba. Following the pressure from European countries, the Clinton and Bush governments continued to suspend one of the Helms-Burton law's provision that entitled individuals to sue foreign firms using properties confiscated from them by Cuba during the 1959 Revolution. Despite former president Jimmy Carter's efforts to reassess the relationships and embargo during a successful visit to La Havana in May 2002, the US position towards Cuba was reaffirmed by President Bush with the establishment of stricter rules regarding the ban of travel by Americans to Cuba. The President even cancelled the immigration biannual talk with Havana that was due to take place in January 2004, as per a decade old tradition and, in May 2004, established stricter rules for Cuban immigrants living in the US, restricting their number of authorised travels to Cuba, and their authorised amount of remittances to be sent to Cuba - which resulted in Cuba growing stronger relationships with China and North Korea. On May 2002, a dissident initiative known as the Varela Project submitted a petition to the National Assembly of Popular Power, calling for a referendum on basic civil and political liberties and a new electoral law. The government responded with campaigns mobilising popular support for an amendment to the constitution, which was then unanimously adopted by the National Assembly who declared the system as "untouchable" and "irrevocable". Recently, the government leading Cuban politics leads campaigns targeting the social system's negative characteristics, highlighting the "indiscipline" (theft, delinquency and absenteeism), corruption and negligence of such system. In April 2006, this campaign saw the dismissal of a member of the Cuban Communist Party after vague indiscipline-related charges were raised against him. On 31st July 2006, Fidel Castro's health led him to provisionally transfer the power to his brother, General Raul Castro Ruz. A transfer that, for many, forecasts the end of the long Castro era.